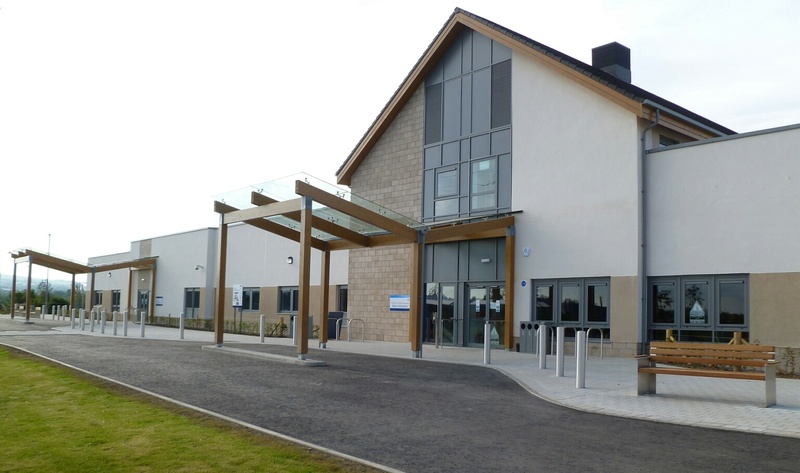 AN NHS hospital near Edinburgh designed to provide care for elderly and mental health patients has officially opened its doors – six weeks ahead of schedule. Midlothian Community Hospital is fully operational today, providing 88 beds for frail and elderly people and for mental health sufferers. The two storey development, which cost £18 million to complete, has 24 assessment beds for older people with mental health problems and 24 continuing care beds, as well as 40 continuing care beds for frail elderly patients. And – unlike many other NHS hospitals – it provides single and en-suite rooms. Jane Sommerville, 97, one of the first patients to move in, said: “I have been so looking forward to moving and really like having a room to myself. Helen Ogilvie, Loanesk Ward Charge Nurse said: “Patients and staff are delighted to be in and settled and we are all enjoying the new, bright environment. The out-of-hours service which provides medical care when GP surgeries are closed in the evenings and weekends has been operating from the hospital since Tuesday last week. Midlothian Community Hospital will also include a day hospital for older people with mental health problems, a dedicated physiotherapy and occupational therapy service, and an out-patient department – including an x-ray service. Gerry Power, general manager of East and Midlothian Community Health Partnerships, NHS Lothian said: “I am absolutely delighted that the hospital is ready and that we can provide a first-class service to patients several weeks early. “I am confident that patients and their relatives and friends will enjoy the many benefits that a new, modern facility can offer. Midlothian Council leader Derek Milligan said: “We are delighted Midlothian residents will benefit from these state-of-the-art facilities that will replace older hospitals such as Loanhead Hospital.